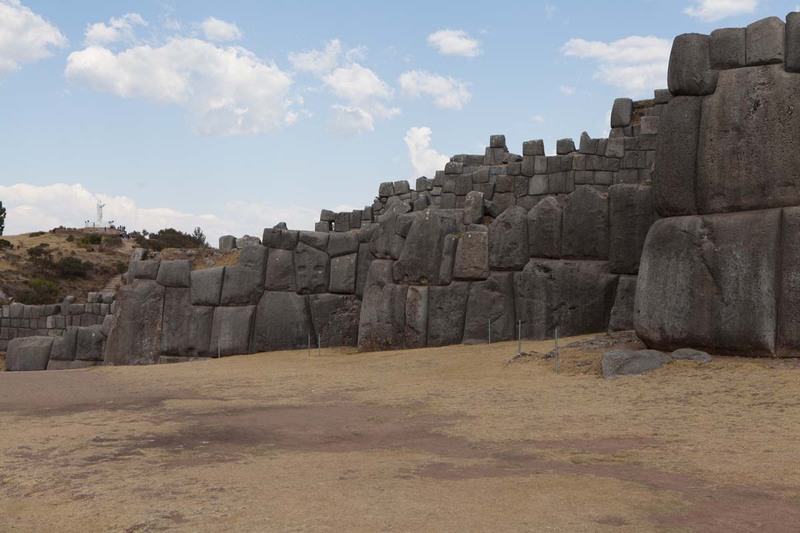 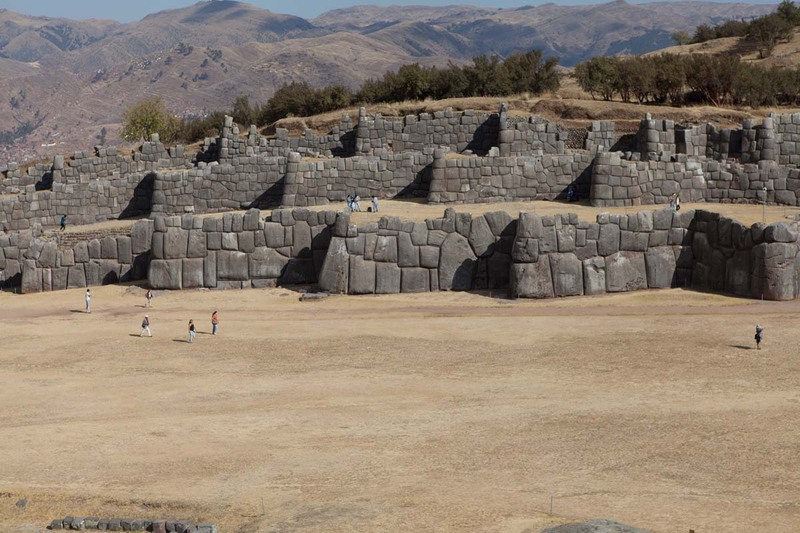 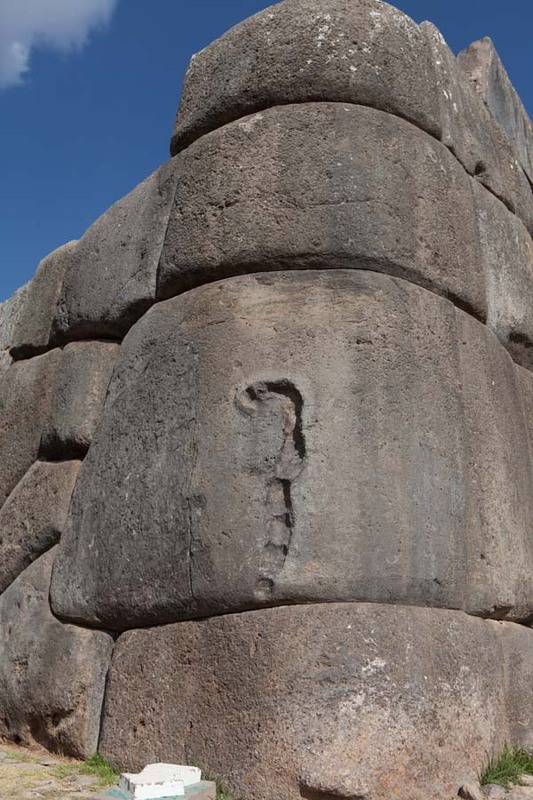 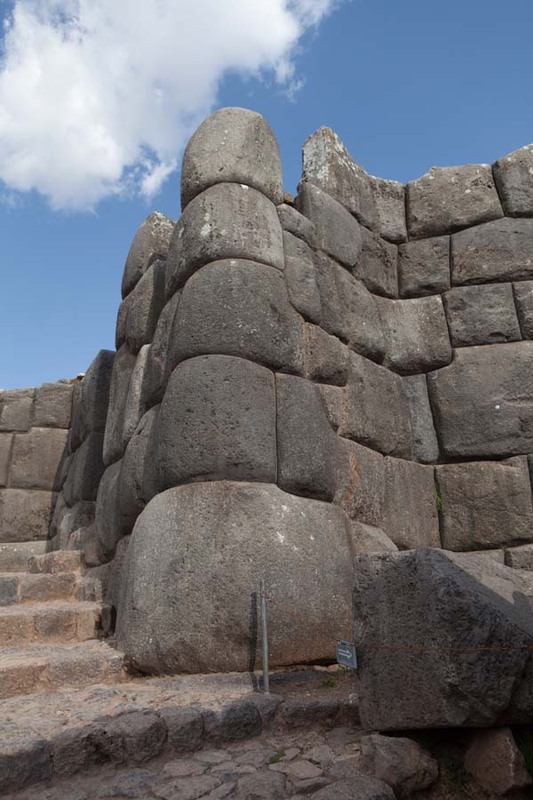 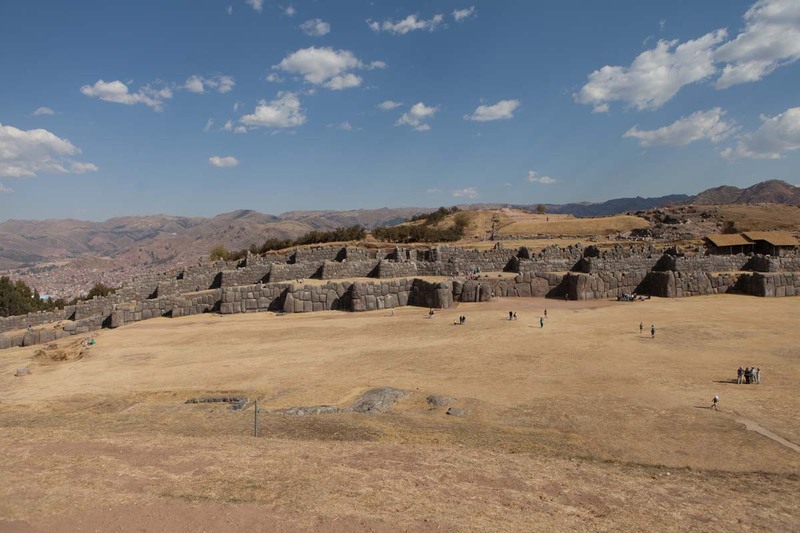 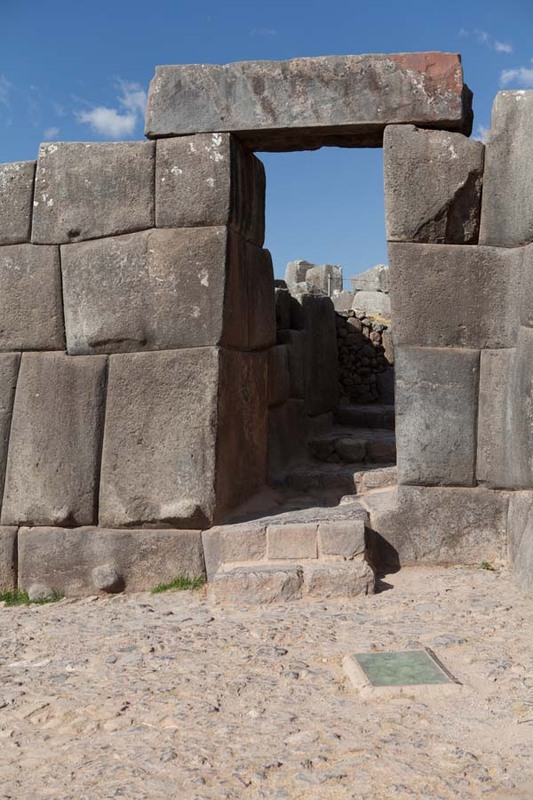 Lying on the northern outskirts of the city of Cusco in Peru, lies the walled complex of Saksaywaman (Sacsayhuaman). 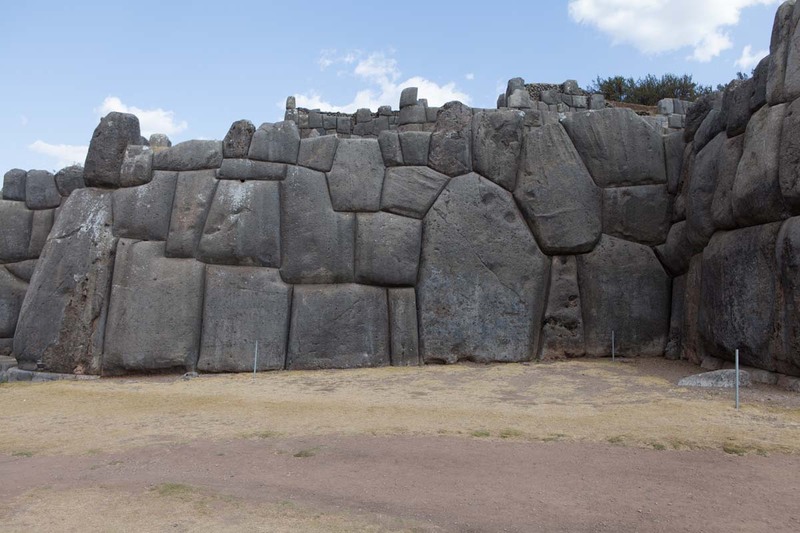 The site is famed for its remarkable large dry stone walls with boulders carefully cut to fit together tightly without mortar. 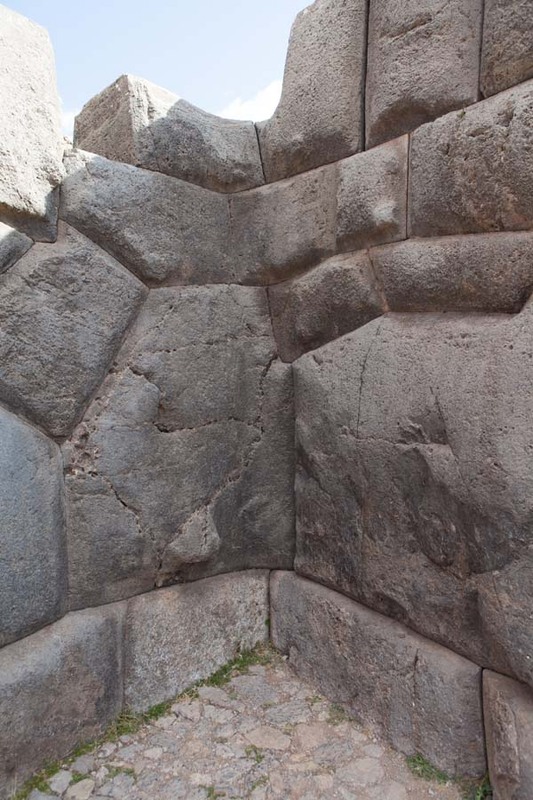 The stones used in the construction of the terraces at Saksaywaman, which weigh up to 200 tonnes, are among the largest used in any building in prehispanic America, and display a precision of fitting that is unmatched in the Americas.This precision, combined with the rounded corners of the blocks, the variety of their interlocking shapes, and the way the walls lean inward have puzzled scientists for decades. 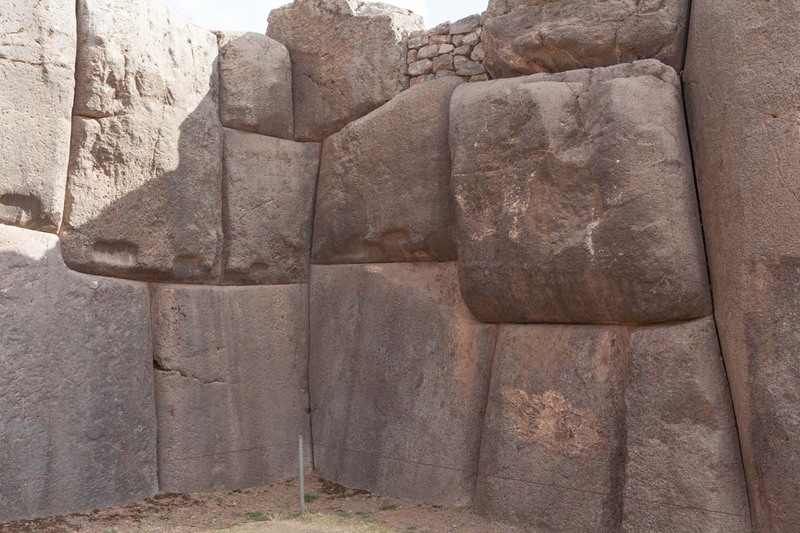 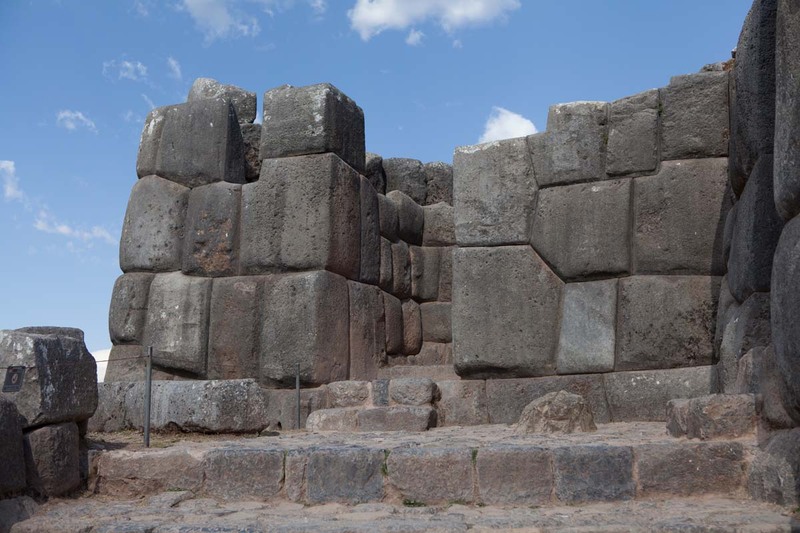 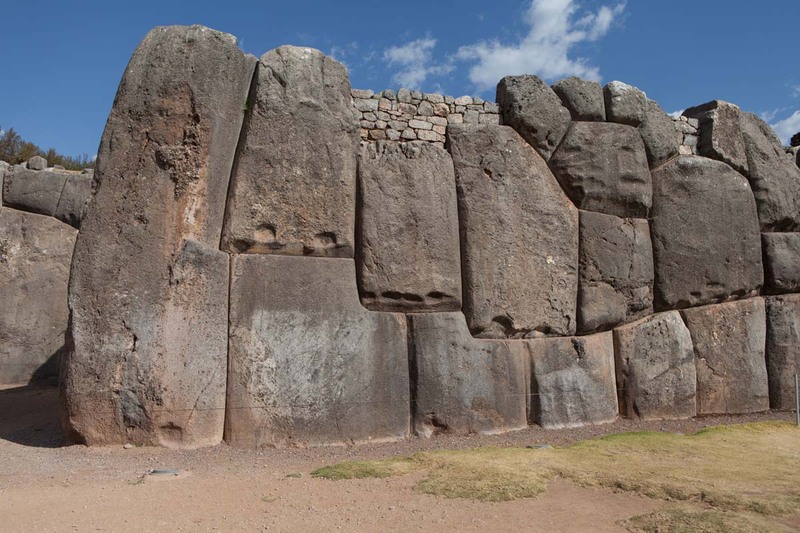 The walls of Saksaywaman, Cusco, Peru. 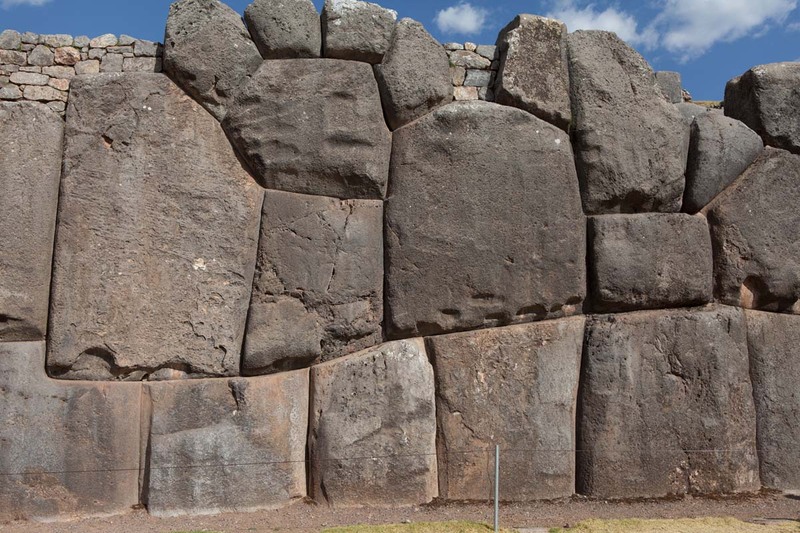 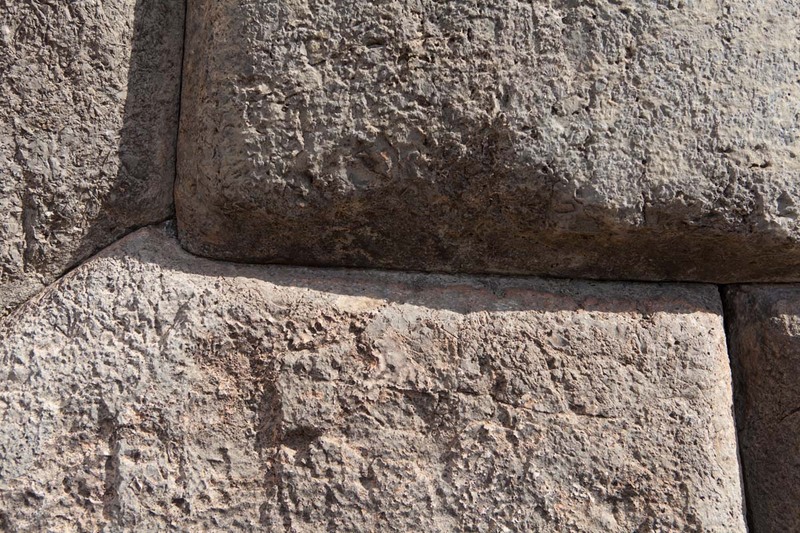 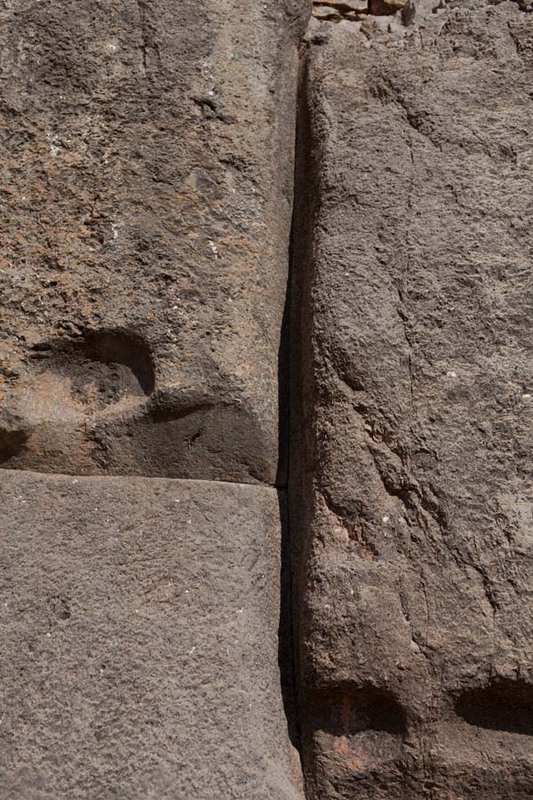 Astounding to see these stones, perfectly connected to each other that even a piece of paper would find it hard to be fit into. 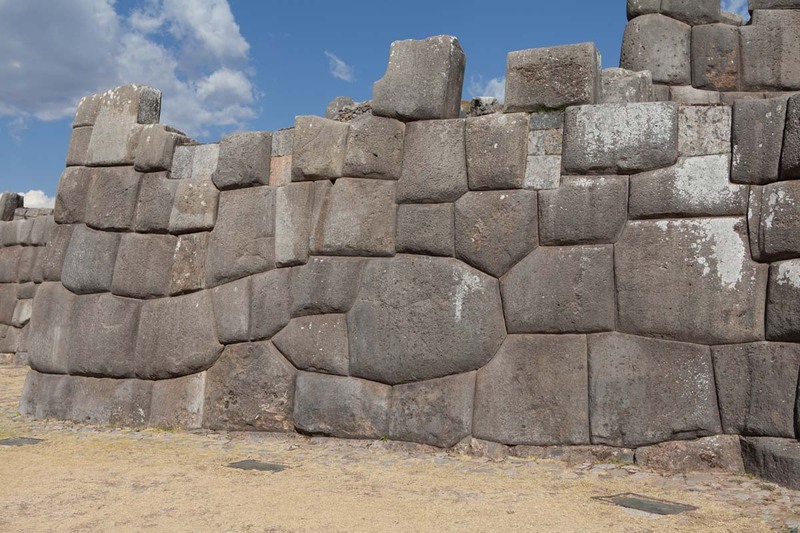 They didn't have paper when they were built, so how would we know they couldn't? 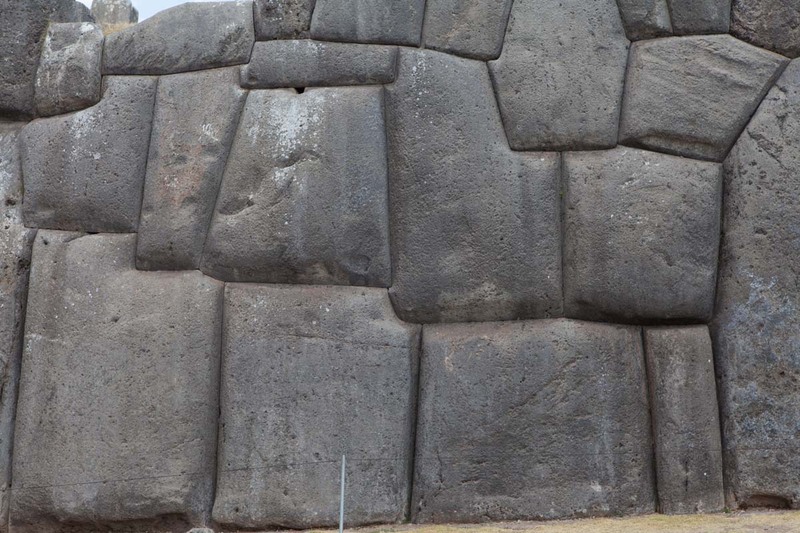 And why would they want to?